Washington – April 14, 2016 – Walmart workers demanding compensation for unpaid wages recently won a huge legal victory after the United States Supreme Court denied Walmart's appeal of a class action lawsuit. The case involves a class-action lawsuit that hourly employees of Walmart and Walmart-owned Sam's Club brought against the retailer for failing to compensate workers who were forced to work through lunch breaks at stores in Pennsylvania. The lawsuit previously made its way to the Pennsylvania Supreme Court before the U.S. Supreme Court decided not to hear the case. 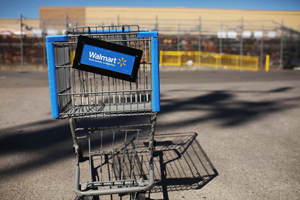 In December 2014, the Pennsylvania Supreme Court ordered Walmart to pay $151 million. In declining to hear Walmart's appeal, the court left the 2014 Pennsylvania Supreme Court ruling intact. The company may have to pay a grand total of $187.6 million after legal fees are included. The case affects almost 187,000 Pennsylvania-based Walmart employees who worked for the company between 1998 and 2006. "The highest court of the United States affirmed that Walmart workers have the right to be paid for every hour of hard work, not just the hours that Walmart wishes to acknowledge," says Jess Levin, communications director for Making Change at Walmart – a UFCW-backed advocacy group for Walmart workers. "The world's largest retailer won't be able to continue to mistreat its workers and get away with it. Walmart workers, when they come together, have a powerful voice that cannot be silenced, and these recent rulings are a testament to their commitment to being treated fairly and with respect."